During a visit to the Club by Julie Kerr, Deputy Head of the Howard Infant's School, she made it known that the school lacked a quiet area where children could chill out during times of stress and a school governor had muted the idea of a garden, together with a plan of where it should be sited and how it could be constructed. 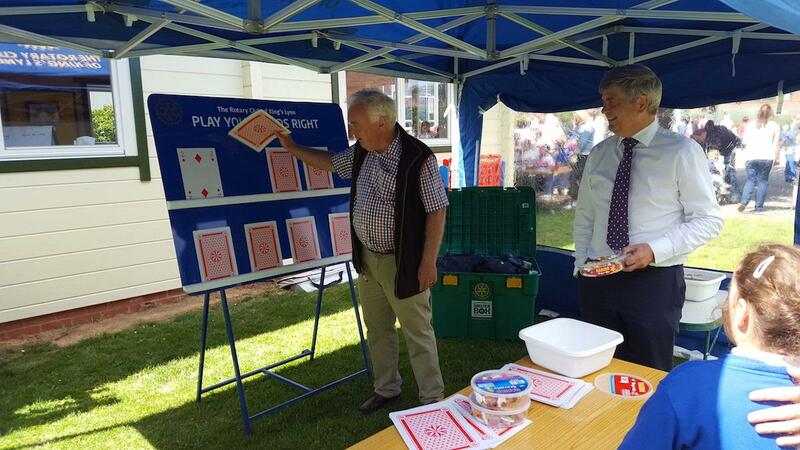 The idea of funding the garden by the Rotary Club of King's Lynn was discussed and agreed by the Community Service Committee and together with a financial gift from the Rotary Club of Emmerich Reis to mark the 90th Anniversary of the King's Lynn Club the project was given the go ahead. Specialist garden contractors Newby Leisure were jointly approved and commissioned to construct the garden at a cost of almost £4000. 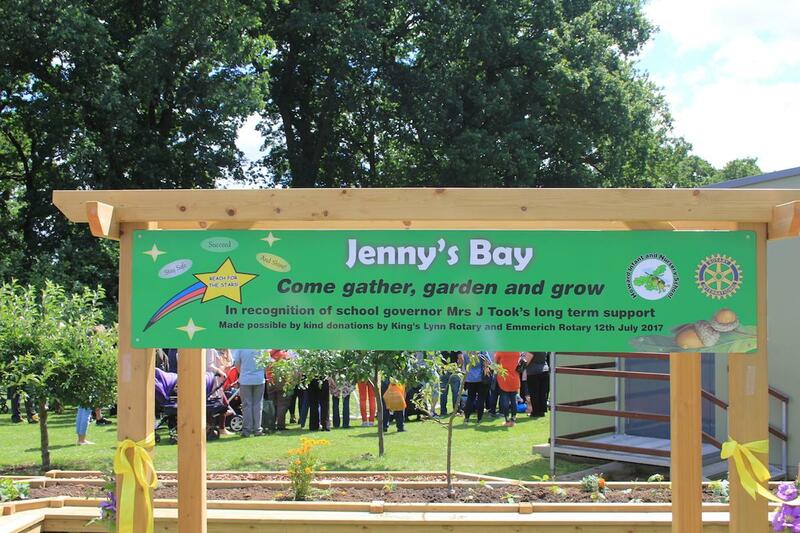 On Friday 14th the garden named "Jenny's Bay" being the concept of School Governor Jenny Took, was formally opened with many parents and children in attendance. 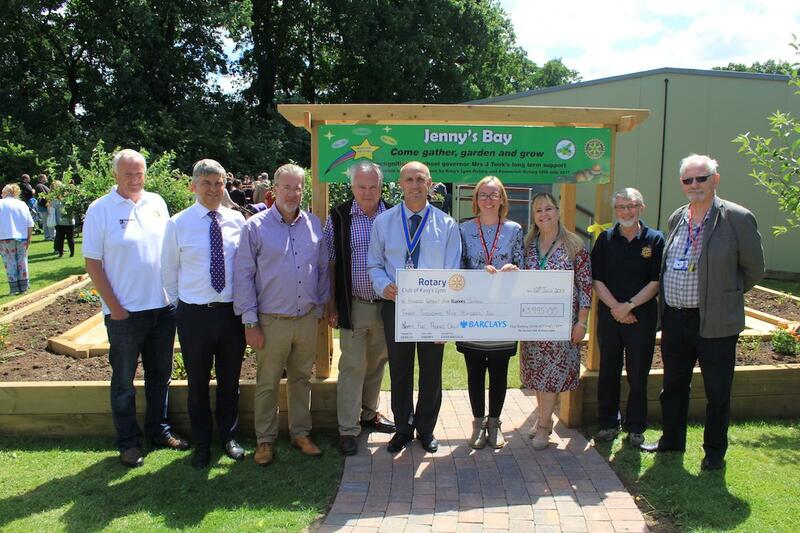 A cheque for £3995.00 was presented by Rotary Club President Mark Walker to the Deputy Head Julie Kerr.